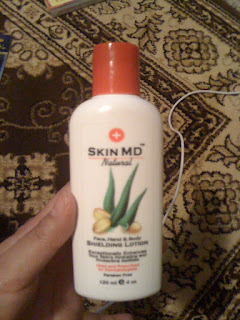 The lovely marketing team at SkinMD Natural contacted me a few weeks ago and sent me this product to try on. When I got the email I was stoked because I was in search of a body lotion at that time. 1. Packaging - well it's standard, easy to open and close and the bottle is "squeezable". 2. Smell - it's very subtle and has that "fresh flower" scent that gives it the "natural" touch to it. 3. Consistency - it's non greasy and easily absorbed on skin. The first time I used it I was impressed by how light it feels on the skin. Cons? Well it didn't really help resolve my dry skin issues on my feet but then again my feet are notorious for being dry and flaky due to neglect and I was actually hoping that this lotion will improve its texture but I think my feet is beyond saving. It's a great product but I can't say it's my HG lotion. It gives you that baby skin feel but it doesn't entirely relieve your skin from dryness. It works wonders though as hand cream and that's how I've been using it lately. If you want to try this product, let me know. I might do a contest as SkinMD are keen to sponsor the prize for it.